There’s a common fear among Christians that sin will rub off on you, that it’s contagious, and that associating with those who are living in sins that we see as the worst of them could harm us. What would people think if we started hanging with those that are addicted? What would they think if we started talking to those that are living with someone outside of marriage? What would they think if we befriended someone who is frequently in trouble with the law? What would they think if we spent time with someone who drinks? Pick a sin, any sin, and you’ll find an audience to ridicule you if you go near it. We use this fear of the contagion of sin and judgment of others as a reason not to reach out to those who need our Christian influence in their lives most. But Jesus was and is a friend to sinners. This title was one given to Him by those who despised him in Matthew 11:19, saying “The Son of Man came eating and drinking, and they say, ‘Look, a glutton and a winebibber, a friend of tax collectors and sinners!’” Yet, Jesus Himself refers to us as His friends (John 15:14), accepting the role of friend to sinners. Jesus was sent by God to be our redeemer. He was already ordained to be our High Priest, our Lord, and our Intercessor. This was God’s will for Jesus’ life on earth and throughout eternity. But according to John 15:13-17 Jesus chose from His own love for us to become our friend. He said “You did not choose me, but I chose you”. He says that if we want to be His friend, we are to do what He commands us to do, and then we are no longer servants, but friends. I have a job, and I report in to do that job at least 40 hours a week. But I don’t consider my management my friends, even though they are good to work for, and I do love my job. I am their employee, and they are my employers. In other words, I am their servant – not their friend. Jesus was God’s son and His servant as well, “for all things that I heard from My Father I have made known to you”, as God told him to do. He says in John 5:19 “the Son can do nothing of Himself, but what He sees the Father do; for whatever He does, the Son also does in like manner.” If we are to be like Christ we are to be not only children of God, but His servants as well. We are to be the friend of sinners. Friendship is what we need to offer those that are suffering under the burden of the sinful nature that we are all born into. Friendship is not advocacy, which offers to defend the person or side with them with statements such as “leave them alone, you haven’t walked in their shoes” or “they’re young” or “God isn’t done with them yet”. Friendship is love, giving of time, offering advice, and sharing of life and compassion. Friendship is a shoulder to lean on, a hand up, a warm embrace, and if need be, friendship is sacrificial. It says that we are to be “imitators of God as dear children. And walk in love, as Christ also has loved us and given Himself for us, an offering and a sacrifice to God for a sweet-smelling aroma”. Can we not hear from these words that we are to also be friends of sinners? The primary misunderstanding comes from Ephesians 5:3-7 which tells us that there are sins that should not be part of the born-again Christian’s life. Make no mistake – not all sins are equal. There are some God considers worthy of death, as shown many times in His word. 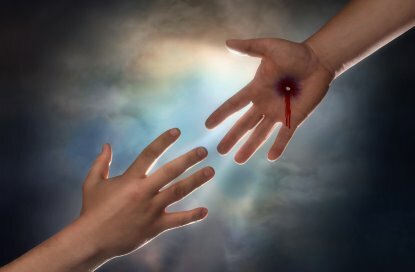 The beam and speck in the eye that Jesus referred to describe one sin as less than another. But when Paul describes these sins in Ephesians 5 he is not referring to our friendships and witnessing to those who are living with these sins, but to our own lives! Paul goes on to say “for you were once in darkness, but now you are light in the world. Walk as children of light”. He is saying that if these sins were in our lives before we became “children of light”, or Christians, then they should not be once we are given the salvation of Jesus Christ. He is NOT saying that we should not go near the souls that are still living in these sins! God forbid we overlook the fact that Paul himself was a missionary to sinners! And the passage goes on to say that we are to “have no fellowship with the unfruitful works of darkness, but rather expose them”. When we look at the true Greek meanings behind this passage, we find that that fellowship refers to partaking in something that is an “unfruitful” or of no value to God, “work of darkness”, which would be practices that ignore God’s divinity and sovereignty. Of these things we find such acts as astrology, witchcraft, fortune tellers, and so forth. These are the “unfruitful works of darkness”, and Paul says we should expose them. But if you are not near enough to it to see it happening – you can’t expose it to the point you remove it. You have to come near the fire to put the fire out! And how do we expose them? Yes, Paul tells us that too! He says “all things that are exposed are made manifest by the light”. The Light is Jesus Christ. Our mere presence, with the Holy Spirit dwelling in us, should show evil as evil and good as good. You can’t hide your Holy self under a rock and expect sin to walk away from the lives of those you love and are called to minister to. Darkness doesn’t run until the light shows up! But if you’re living with a flickering candle of a light, not living the life God designed for you, your light may only create a shadow near the darkness you want to remove. The immunization we have to the contagion of sin is found in the blood of Jesus, nothing more and nothing less. Once reborn, we are to guard our life so as not to set a trap for ourselves. If you have an overwhelming urge to gamble, you shouldn’t play poker with your lost friends. If you have been freed from an addiction, don’t go to parties where the drug of choice is there. Sanctify yourself by studying God’s word and praying until you have whipped those sins into submission before you dare try to minister to someone else. I assure you, God equips those He calls, and if you are not equipped to handle it, He most likely is not calling you into service at this point. Allow His to equip you first. It really doesn’t matter what people think if we become friends of sinners (noting that until we are saved we are all classified as sinners in God’s Holy Word). It only matters what our Father in Heaven thinks. He is the only authority to which we owe submission. Submitting our lives and our choices of friends to anyone else is idolatry, choosing to serve their opinions over the will of our Father. If God calls us to minister to a person living outside the life He has planned for them, it is our duty as His child to serve. But it should be the love of Jesus in our hearts that causes us to also offer friendship. It should be the command to “love one another even as I have loved you” that fuels our friendship. Jesus, Friend of sinners. We all proclaim to be grateful that He chose to be our friend. How can we neglect to befriend others that desperately need to know Him?